You’re Amazing! 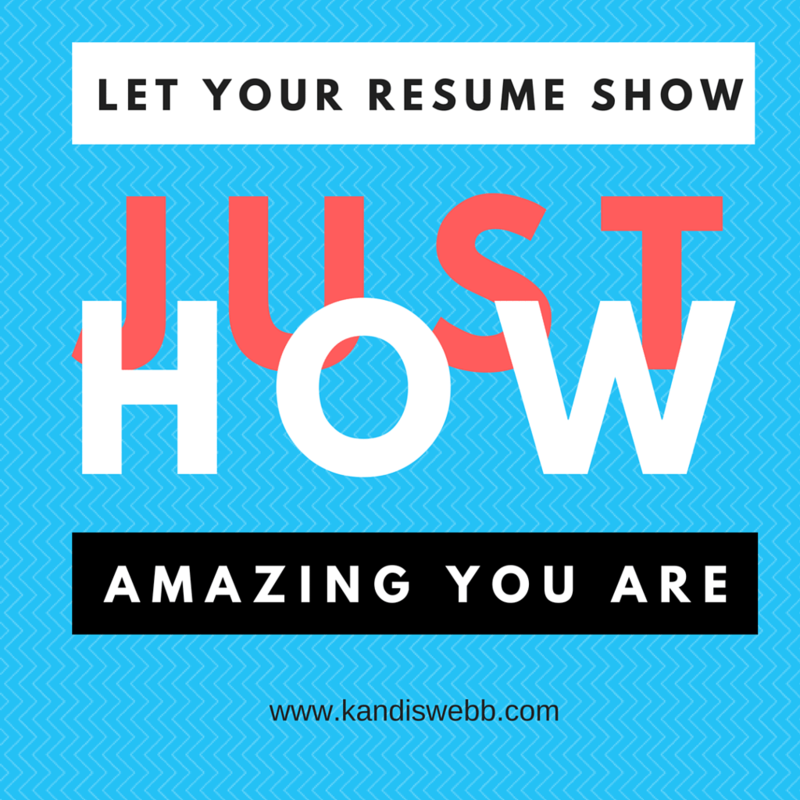 Does Your Resume Show How Amazing You Are? If you know you’re amazing and could rock the hell out of THAT job, then show & prove through your resume & your interview. The resume gets you the interview. The interview gets you the job. But, what gets you the resume? You must be able to humbly sell yourself and all your AMAZINGNESS. You have 30 seconds (sometimes less) to impress a human beings eyes via a single piece of paper or two. Also, keep in mind the ATS (applicant tracking system) that you need to impress. Have an elevator pitch in your qualifications summary paragraph. Under each job, give 1 to 2 measurable sentences about the positive impact you made in the role and the business. Then list 3-4 bullets of other impacts you made to support that measurable outcome. Once again, your resume will get you the interview. The interview will get you the job. You must rock BOTH, but you can’t rock an interview if you’re not rocking your resume. You can’t rock your resume if you’re not rocking your AMAZINGNESS. If you need a resume critique, I’m so game for providing one to you. If you’re not confident about your AMAZINGNESS, let’s chat for a few to solve THAT problem, too! Continue being AMAZING and unapologetically tell the world just how amazing you are.